Is it that time already? It’s February and you know what that means. She is going to be expecting a special gift from you on Valentine’s Day. You are not going to be able to avoid this in any way and as a result, your choice will have to be very carefully made. Don’t worry as you are in luck. We’re going to take you through the process of finding the perfect Valentine Day gifts for her. 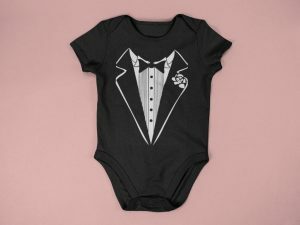 Inexpensive Valentine Gifts Or Not? This is where you can truly foul up and make your biggest mistake when shopping for Valentine’s gifts for her. The first and most important rule to keep in mind is the level of your relationship. It will be the most accurate guide to follow when looking for Valentines gifts. This goes for any gift for any person including Valentines day gifts for teachers, Valentine Day gifts for coworkers, best friends and most importantly for that special girl in your life. When using the level of your relationship with your girlfriend, it is extremely important to not send the wrong message. For example, if you’ve been seeing each other for just a few weeks and have had a handful of dates, you’ll want to stay on the side of caution. This means spending some money but not being cheap, either. A funny Valentines card for her will be a good starting point and you can combine that with a nice dinner out and still be considered a great guy. If your relationship has been in place for a much longer period of time and is far more serious, then a trip to the jewelry store will be one of your chosen stops. The important thing to keep in mind is to avoid extravagant gifts for Valentine if the relationship is not at that point. Of course, if you are using Valentine’s Day as the date to bump up the relationship, that’s fine provided both of you are at the same place in your relationship before taking that next step. As if you needed additional pressure when shopping for that special Valentines gift. What you may not be fully aware of is that if your loved one works in an office setting of any kind, or has several coworkers, beware. They will get together at one point and actually compare what they received as gifts for Valentine’s Day. It’s not a game, it’s just something girls do to sort of gauge how us guys value them. You do not want to be on the bottom of that scale. However, the opposite also applies. You most certainly don’t want to be viewed as at the top of the comparison scale as you’ll be expected to maintain that status come Christmas and any other important date. We know, it may sound a little bit silly to you at the moment but coworkers will not let your girlfriend forget where your gift put her on the scale related to all the other girls in the office. So you have to be extremely careful with your Valentine’s Day gift selection. Okay, let’s move on to the definite don’ts when it comes to choosing a Valentine’s Day gift for your girlfriend. Although you may think that lingerie is a good idea, trust us on this one. It is a rather dangerous gift for a couple of reasons. If your relationship is not at that level, you may end up offending her. Plus, if your choice is viewed as not being tasteful, it could also backfire on you. Girls are really particular when it comes to their undergarments. Also, be sure that your gift is something that she would like and not necessarily something you would like. An example of this could be tickets to a rock concert. Sure, the two of you would be spending time together and grooving to some tunes. However, if she is more of a country music fan and not really into speed metal, only one of you is going to really benefit from that gift. The idea is to give her something that she would truly enjoy that shows you know her interests. Thanks to the world of technology, you can shop for her without leaving your home. 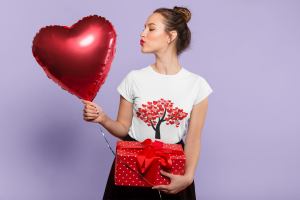 In fact, shopping for online valentine gifts is a popular alternative to dealing with crowds and other distractions at the mall. One really smart way to show her how you feel about her and still meet the requirements listed about is by ordering her diy valentines gifts. This way you can add some personalization to a special gift and have it delivered direct to her door!